Natural Grocers director of nutrition education Karen Falbo says her chain responded to consumer demand for non-dairy alternatives by stocking shelves with nearly every variety on the market. Mary Kraft runs two dairy operations in rural Morgan County, Colorado. At this Natural Grocers store in Lakewood, Colorado, the non-dairy section is larger than the actual dairy section. Holstein cows at Mary Kraft's dairy farm in Morgan County, Colorado walk back to their stalls after being milked. Dairy farmers say milk comes only from a mammal, which is backed up by longstanding Food and Drug Administration rules. But the FDA has not banned plant-based milk makers from using the term. And the plant-based milk companies argue that foods amount to much more than their legal definitions, and should be judged on how they are used by consumers. Over the last five years, sales of non-dairy drinks have been on a dramatic rise in grocery stores across the country, while sales of old-fashioned cow’s milk are dropping. At a Natural Grocers store in Lakewood, Colorado, for example, the faux-dairy products section is bigger than the actual dairy section. “That’s because we have a greater number of our customers asking for the non-dairy alternatives,” says Karen Falbo, director of nutrition education for the Western grocery chain. Customers at Natural Grocers have their choice of old classics like almond and soy milk, and new varieties like macadamia, hemp and quinoa milk. In 2015, the research firm Nielsen calculated almond milks sales at $894 million, and soy milk at $297 million. Dairy milk still makes up the lion’s share of the market – research firm Mintel puts it at $17.8 billion in sales in 2015 – but fluid milk sales have been slipping for decades, and the shift has put dairy farmers on high alert. Dairy milk is naturally packed with nutrients, she says. Like many dairy farmers, she’s upset that the word milk has been co-opted by food marketers to make imitation dairy products sell. “It upsets me that somebody’s trying to steal our halo and act like us when plainly you try the beverage it doesn’t taste like us,” she says. FDA rules are on Kraft’s side, at least for now. The FDA says that for something to be called “milk” it has to come from an animal – more specifically that it must be a “lacteal secretion” – not just be milk-like. The agency has yet to wade into the milk fight, though it soon may have to. Democratic U.S. Sen. Tammy Baldwin from America’s dairyland, Wisconsin, has introduced a new law called the Dairy Pride Act, which would bar non-dairy beverage companies from calling their products “milk” and require the FDA to enforce the rules on the books. The move has riled up plant-based food makers who say they already bend over backwards to find the right wording for their labels. The reason they use words like milk and cheese on their packages isn’t to steal away customers, they say, but to use language everyone understands. “Why would you call it a juice if the way that you treat it is as a milk?” asks Matthew Sade, the CEO of Kite Hill, a California-based company that makes yogurt and cream cheese out of almond milk, no cows involved. Foods are defined by their cultural attributes and uses, Sade says, not some archaic legal definition. “I would argue that from a regulatory standpoint those are antiquated regulations and absolutely the FDA needs to step up and clarify a definition that’s in the best interest of the public,” he says. If the FDA forces plant-based dairy alternative manufacturers to take words like milk and cheese off product labels, consumers will be even more confused, he says. “People understand what almond milk is, people understand what soy milk is -- no one thinks it came from an animal,” Sade says. June Jo Lee, a food ethnographer who studies the cultural meanings of foods, says food companies borrow and tweak language all the time in the pursuit of profits. They adapt words for traditional foods to identify new ones. Words like milk and meat, for years associated with livestock, are changing in meaning, Lee says. Take the word “burger,” for example. Is it still a burger if it’s made of either beef or black beans or mushrooms? Even if the FDA starts enforcing new rules, Lee says, that won’t turn back decades of culture and conversation and marketing that has imbued the word milk with all sorts of meanings. Whether that’s from a cow or a cashew. 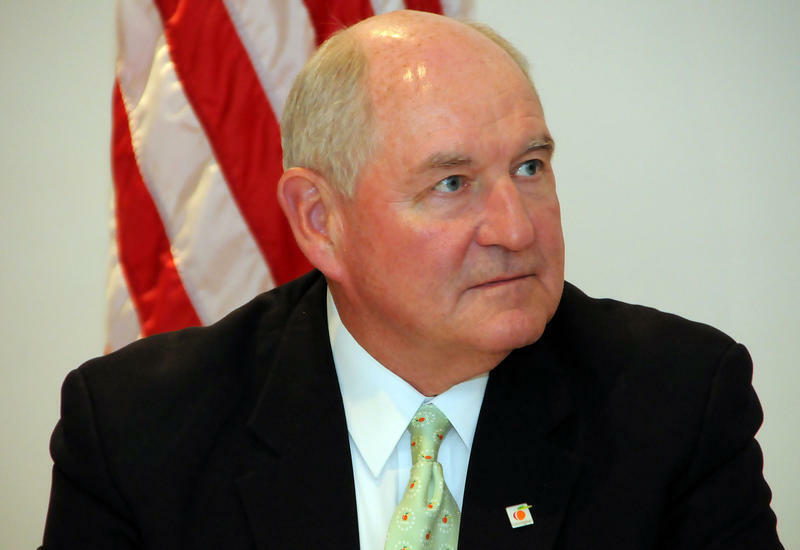 President Obama’s two-term agriculture secretary will soon slip through one of Washington’s revolving doors and switch from government official to private sector executive eager to push for an industry agenda. 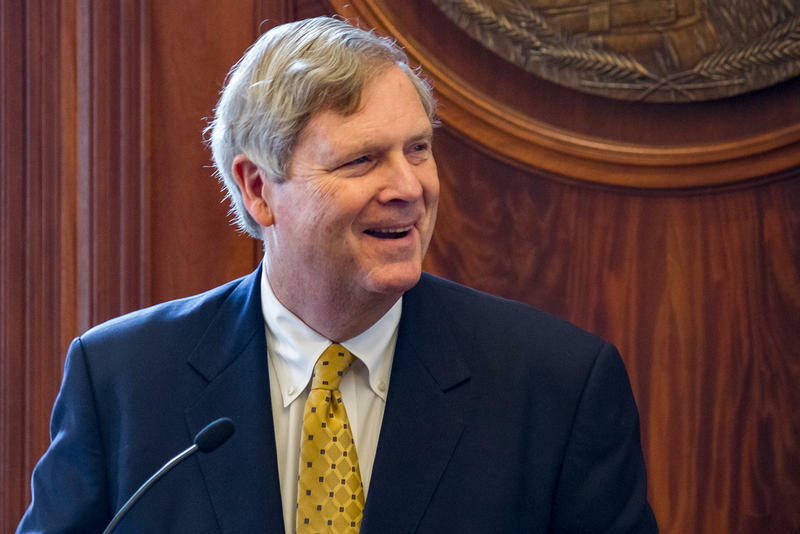 Former Agriculture Secretary Tom Vilsack announced Tuesday that his first job outside the Cabinet will be heading up a dairy industry trade group that pushes for access to foreign markets, the U.S. Dairy Export Council.